2012 LINCOLN DINNER DATE -- Thursday, April 26th at the Wellington Community Christian Center, 710 W. Highway 224, Wellington, MO. Appetizers and meet-and-greet at 6:30 with dinner catered by Nadler's at 7 p.m. Program: "Getting to Know the Candidates." All candidates for public office will be invited to give limited remarks. Entertainment and short live auction to follow. RSVP: Mail $25.00 per person for dinner reservations to P.O. Box 42, Lexington, MO 64067. Thursday, May, 24th - Joint meeting between the Federated Republican Women's Club of Lafayette County and the Central Committee. The Federated Women's Club will meet at 7 p.m. to be followed by the Central Committee meeting at 7:30 p.m. The meetings will be held at historic Lafayette Hall, 10th and Franklin, Lexington, Mo. Both are open to the public and refreshments will be served. Joint program TBA. June 1-2nd -- State Convention, details TBA. Delegates chosen at the county level will vote on 25 at-large delegates and alternates to the National Convention and 2 at-large presidential electors. Missouri will have 52 delegates and 49 alternates selected at the state convention and 1 delegate but no alternate for the state Party chairman, national committeeman and woman. The Saturday event will be held at the University Plaza Hotel and Expo Center, 333 S. John Q. Hammons Parkway, Springfield, MO. (417) 864-7333. Registration: 6 AM to 8:30 AM. Convention Session 1 begins at 9 AM. For more information about Friday grassroots training, silent auction, and Friday night banquet, contact the MoGOP. Thursday, June 28th - Joint meeting between the Federated Republican Women's Club of Lafayette County and the Central Committee. The Federated Women's Club will meet at 7 p.m. to be followed by the Central Committee meeting at 7:30 p.m. The meetings will be held at historic Lafayette Hall, 10th and Franklin, Lexington, Mo. Both are open to the public and refreshments will be served. Joint program TBA. Thursday, July 26th - Summer Picnic - Sponsored by the Central Committee and the Federated Republican Women's Club of Lafayette County. Time and location TBA. The public is invited as well as all candidates who will be allowed to speak. Thursday, August 23rd - Joint meeting between the Federated Republican Women's Club of Lafayette County and the Central Committee. The Federated Women's Club will meet at 7 p.m. to be followed by the Central Committee meeting at 7:30 p.m. 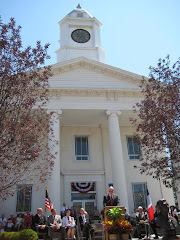 The meetings will be held at historic Lafayette Hall, 10th and Franklin, Lexington, Mo. Both are open to the public and refreshments will be served. Joint program TBA. Thursday, September 27th - Joint meeting between the Federated Republican Women's Club of Lafayette County and the Central Committee. The Federated Women's Club will meet at 7 p.m. to be followed by the Central Committee meeting at 7:30 p.m. The meetings will be held at historic Lafayette Hall, 10th and Franklin, Lexington, Mo. Both are open to the public and refreshments will be served. Joint program TBA. Thursday, October 25th - Annual Candidate Carry-in Dinner - The Federated Republican Women's Club of Lafayette County will hold its annual carry-in dinner for candidates. The Central Committee and guests are invited as well as the public. Time and location TBA. All candidates are invited to speak. Tuesday, November 6th - Election Night Watch Party. Details TBA. CHECK HERE FOR MORE EVENTS AND DATES TBA. Thursday, April 19th -- Joint meeting between the Federated Republican Women's Club of Lafayette County and the Central Committee. The Federated Women's Club will meet at 7 p.m. to be followed by the Central Committee meeting at 7:30 p.m. The meetings will be held at historic Lafayette Hall, 10th and Franklin, Lexington, Mo. Both are open to the public and refreshments will be served. Joint program: Leila Cohoon will speak about a project she is spearheading in Missouri. The project is titled "Women's Purple Heart Quilt Trail". Last year the National Federation of Republican Women made quilts honoring women Korean War veterans. This year they wish to honor those women who were awarded the Purple Heart Medal. The NFRW Armed Services Committee is concerned that these Purple Heart recipients have been forgotten. They are suggesting that each state Federated Republican Women make a quilt wall hanging. Upon completion of the project, there will be a map made with the trail of quilts across the United States that will indicate where each state's quilt is located and can be visited. Leila, after seeing these quilts displayed at the FRW National Convention in Kansas City in October, immediately began working on having Missouri's women Purple Heart recipients honored with a quilt at the next FRW convention in Louisville, KY in 2013.